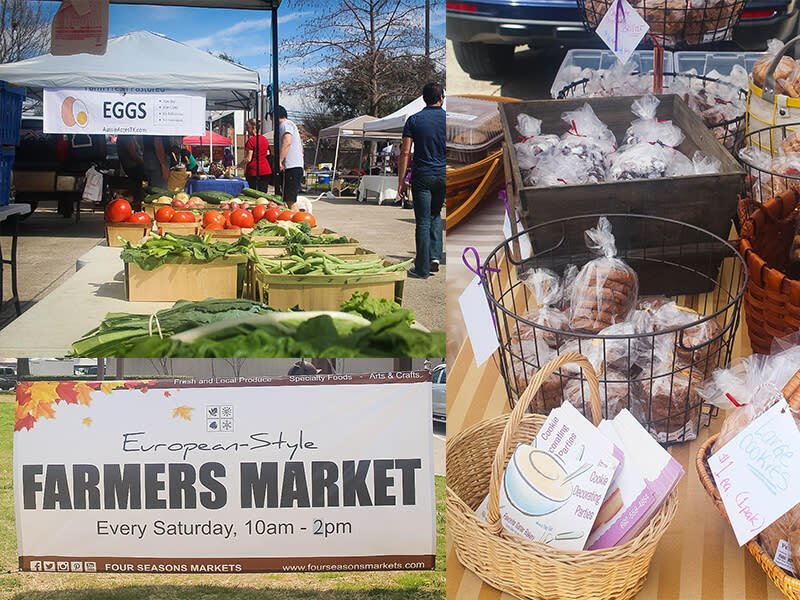 European-Style, Irving-Hosted – Hello, Irving Farmers Market! 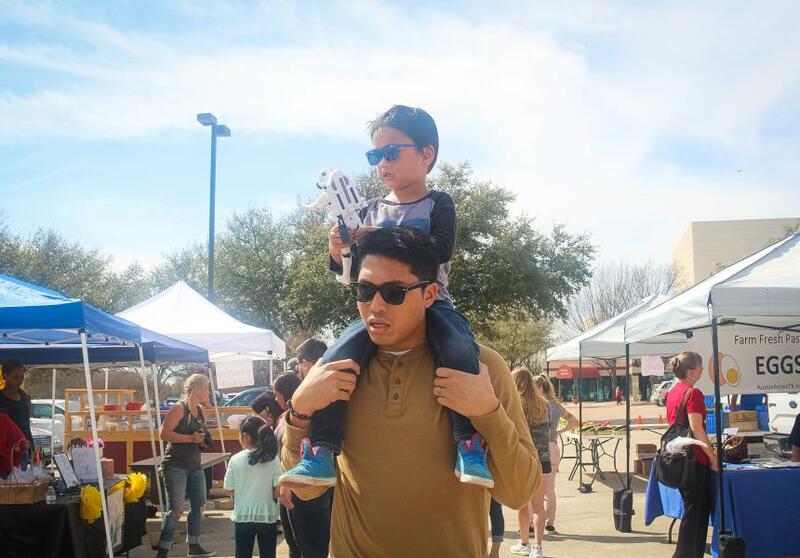 A family-friendly market where visitors get to sample and shop artisan products is something we’ve been longing to have here in Irving for a while. So when we learned that a farmers market is finally being hosted at the Irving Arts Center, we leaped for joy! And we cannot wait for you to come visit too. If you’re planning to do so soon, here are a few key things you need to know about the market! The Irving Farmers Market opens from 10 a.m. to 3 p.m. on Saturdays at 3333 N MacArthur Blvd, Irving TX 75062. You’ll see signs pointing you to the market as soon as you get closer to the Arts Center, so it won’t be that hard to find. When you’re done shopping, don’t forget to check out the sculpture garden right behind the market, it’s a beautiful photo op! And in case you’re wondering, parking is FREE. 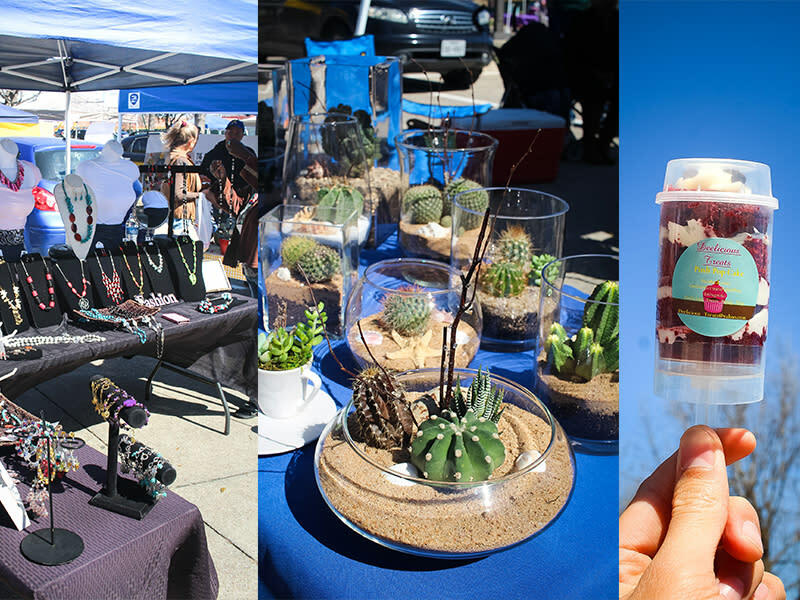 We love the diverse type of vendors hosted at this market! 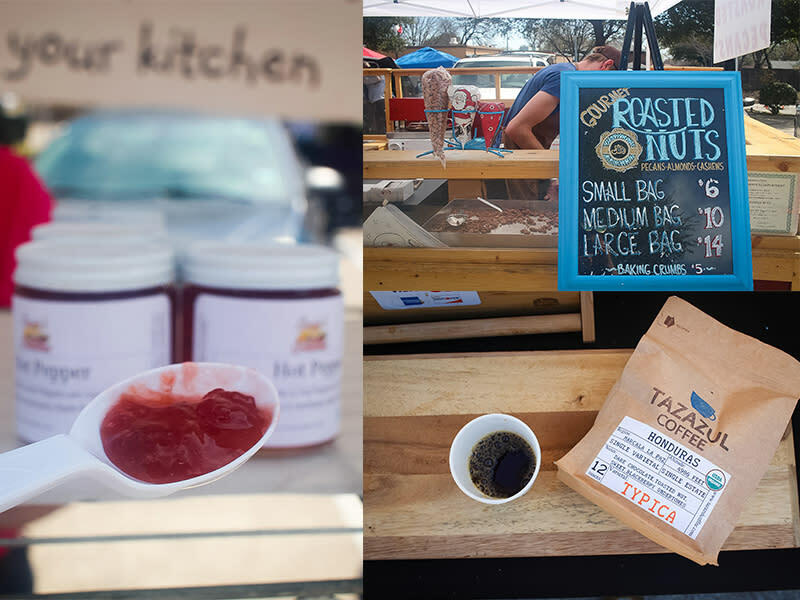 From organic coffee, succulents, homemade fruit preserves to fresh produce – you can find all kinds of artisan goods here. And you know what that means? There are plenty of food samples to munch on as you walk around the market! We had the gourmet roasted nuts (pecans, almonds, & cashews), which smelled so heavenly even from afar. We also tried a push-pop cake that was so moist and delicious, it could make a great party treat. They also have jewelries, cakes, non-gmo eggs, and more! Weekly vendors may vary; click here for a vendor directory. 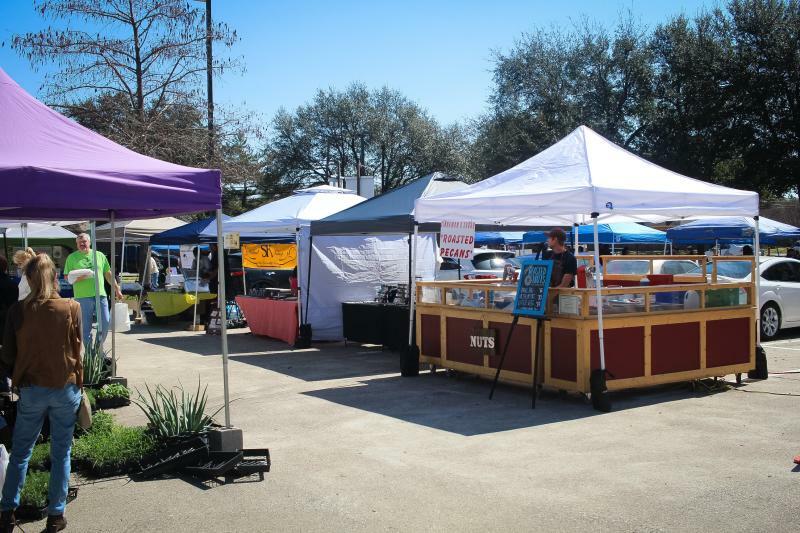 With the growth of its attendance each week, Irving Farmers Market is expected to feature live music and a more extensive dining experience in the near future. This means that we’d be able to sit down and eat great food from local vendors while listening to music here! Exact dates are yet to be confirmed, but as soon as the word is out, we’ll let you know! For more information about the market, please call (972) 884-0680 or visit FourSeasonsMarkets.com. 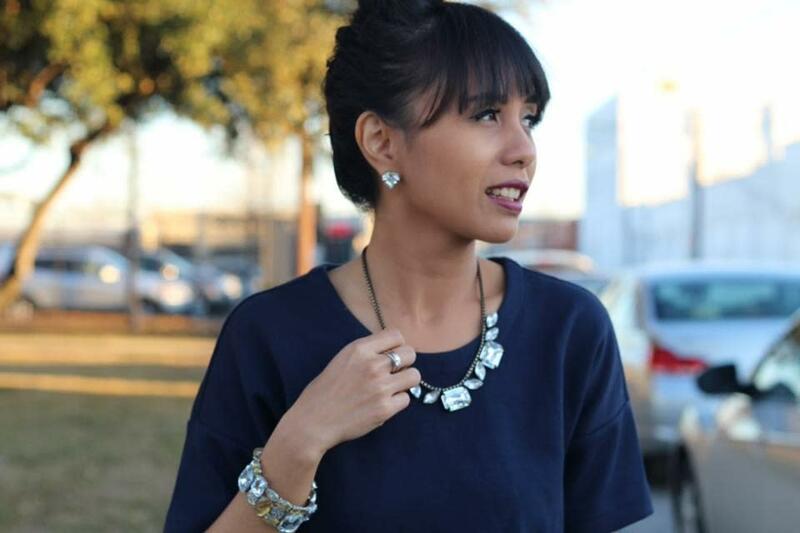 Don’t forget to follow them on instagram, for other fun stuff in Irving, TX!